Abraham Lincoln, 16th president of the United States, lived in central Illinois from 1830 until 1861. He, his wife, Mary, and three of the couple’s four children are buried in Springfield. Also in the Springfield area are the Lincoln family home, now a National Historic Site, the Abraham Lincoln Presidential Library and Museum, the Lincoln Tomb and Lincoln’s New Salem state historic sites and a variety of less prominent historic and interpretive sites with connections to Lincoln and the Lincoln family. See below for tourism information. The Abraham Lincoln Presidential Library and Museum posts the following list of books for further reading about Lincoln outside the Union Theatre in the presidential museum. Other suggestions are available at the museum’s information desk. Abraham Lincoln: A Life, Michael Burlingame’s two-volume, 2,000-page biography, can be read at no cost online, thanks to the Lincoln Studies Center at Knox College in Galesburg. A Life won the 2010 Lincoln Prize. Here I Have Lived: A History of Lincoln’s Springfield, 1821-1865 by Paul M. Angle. Originally published in 1935, “Here I Have Lived” is difficult to locate in print, but it is readable online through the University of Michigan. The Collected Works of Abraham Lincoln, available online and searchable through the University of Michigan and the Abraham Lincoln Association. “The Lincoln Log,” a day-by-day record, insofar as possible, of Lincoln’s life. Under His Hat, a digitized look at a variety of Lincoln artifacts, is aimed mainly at classrooms, but may be interesting to older students of Lincoln as well. – The Springfield Convention and Visitors Bureau provides information on Lincoln sites as well as an events listing, and lodging and restaurant guides. 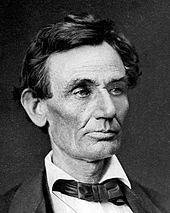 – The Looking for Lincoln Heritage Commission offers a directory to Lincoln-related attractions throughout the 42 counties that make up the congressionally designated Abraham Lincoln National Heritage Area. This entry was posted in Historic Sites, Lincoln, Abraham, Presidents, Prominent figures and tagged Abraham Lincoln Presidential Library and Museum, Lincoln Home, Lincoln Tomb. Bookmark the permalink.